Office renovation can help you create a more friendly working space for your employees. You can also renovate to get additional room when you expand operations. It is also an opportunity to modernize your equipment and décor. Renovations can add value if they are done right. Here are 6 things to consider when renovating your office. The first thing you need to do is determine why you want to renovate your business premises. 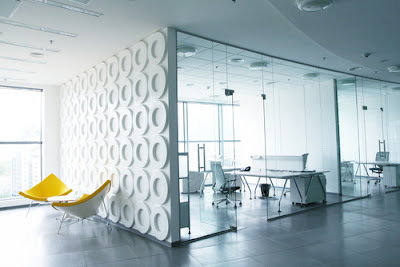 Office renovations can offer several advantages for a business whether they are simple improvements or radical upgrades. The changes you make can enhance efficiency, productivity, motivate your employees, and boost your image. You need to set goals before the renovation process begins. This will make it easy to set a realistic schedule and budget. Work out the specific things you want to attain by renovating. You will find it easier to focus on your plans when you have set goals. Your office renovation objectives should include improving functionality and comfort. These are two of the most important considerations to make when you are selecting new equipment or furniture for your premises. Think about the space you want to renovate. Space in this context goes beyond the square footage available on your premises. Consider electrical and water points and any potential challenges that they may pose during the renovation. It will be easier to plan and execute your office renovation if you know the space you will work with. If you are a tenant, you need to get permission from the landlord to carry out renovations. The landlord may also have to cater for some of the costs depending on the lease agreement. This is another important consideration to keep in mind when you want to renovate your office. Do not settle for a contractor because they have the lowest bid. Some of them will offer a low bid and change their price once the project is underway. Use your networks to find the best contractors in the business and then negotiate for a price that is within your budget. A good contractor will review your plans and offer a pricing structure that is specific to your project. Find a professional who has carried out several renovations. Take advantage of recommendations to get a reputable contractor. You should only sign a contract once you have seen some of the work the contractor has done. Reviewing their past projects will give you a good idea of what to expect when you work with them. An insured contractor is the best choice when you are renovating an office. Once you have narrowed down on potential contractors, ask them whether they have insurance and what it covers. This can protect you from incurring heavy losses if anything goes wrong during the office renovation. Insurance will ensure you do not cater for any medical expenses or compensation in case an employee is injured while working on your office. It is also better to work with someone who understands the latest in office renovation to help you select the right fixtures, furnishings, and furniture. A renovation schedule is critical whether you want to open a new business or expand an existing one. You need to have a specific time frame within which you want the renovations to take place. The project can take longer if you still want to continue your office operations while the upgrades are going on. Inform your contractor about your expectations to prevent disappointments. You also need to factor in delays when coming up with a schedule. Things may not always go according to plan. Your contractor should give you a realistic deadline and ensure the project is complete in good time. Significant delays can lead to huge business losses. A reputable contractor will inform you if there will be any challenges that can make the project take longer than expected. You need to have a budget for your office renovation project. The budget will depend on the kind of upgrade you want to do in the office. You can set a specific figure and find ways to make the office improvement project fit or determine the changes you want to make and then come up with an estimate. It is wise to begin with a budget and then determine what you can do with the money available. Choose upgrades that will have a significant impact on your business. You also need to consider hidden costs and potential complications that can increase expenses. A spending plan can also ensure that all the changes are in line with your renovation goals. It is also important to note that some contractors have a fixed price while others will keep changing their fee as the project continues. You need to know exactly how much they will charge you for their services. Changing fees can disrupt your project and make it difficult for you to attain your goals within the set time. You need to consider how the project will affect your operations and employees. Office renovation can disrupt your business operations and employees significantly. Shutting down is not always an option and this is why you need to consider using a temporary facility or asking your employees to work remotely. Your contractor may also be willing to offer a temporary location for you to work in while the renovations continue. They can also schedule the office renovation for weekends and holidays to ensure there is minimal disruption. Consult the renovation company you are using and come up with an appropriate plan. 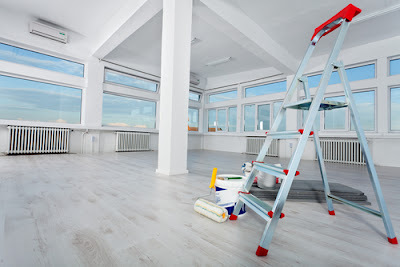 Office renovation can help you make the most of your business premises whether you are just starting out or want to remodel to create a more modern space. Remodeling also offers an opportunity to improve your image and create a suitable working environment for your employees. Take advantage of these six considerations when you plan your office renovation. They will help you make the most of your budget and avoid hustles during your project.